Joe Montana Autographed Candlestick Park Seatback #16 - signed in Center | Sports Memorabilia! THIS SALE IS FOR A LIMITED TIME ONLY. SUPER DEAL! Joe Montana has secured ALL the available #16 seatbacks from the Candlestick Park demolition project, and working together with National Sports Distributors has had them delivered to the NSD warehouse in the North San Francisco Bay Area. 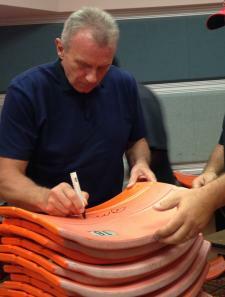 Joe Montana has autographed each seatback. The seatbacks in Candlestick Park vary in color due to their exposure to the sun and weather conditions over the years. 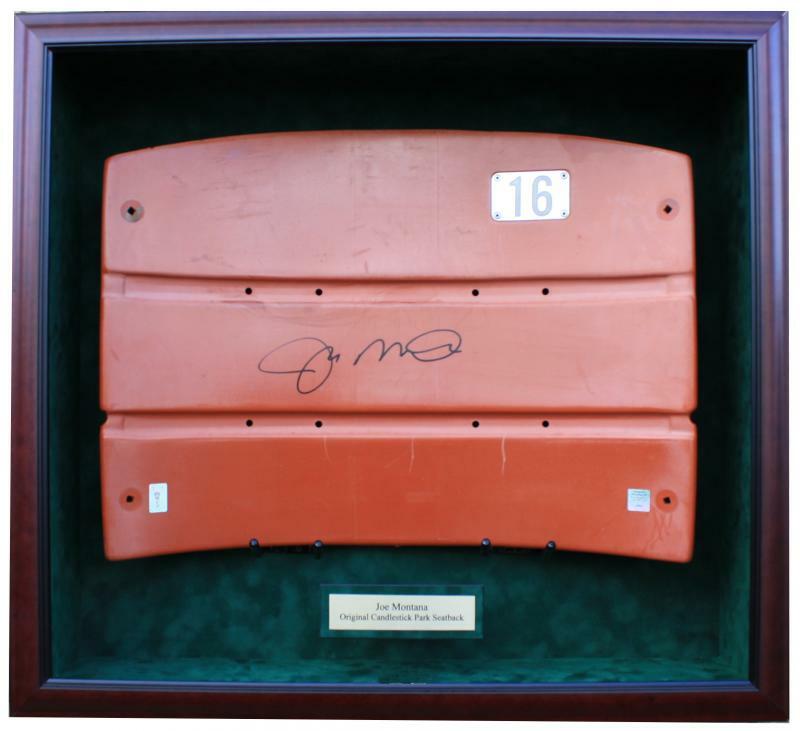 There are 4 different color ofd seatbacks offered, Orange signed in black, Brown signed in black, Red with some oxidations signed in black and Red with little oxidation signed in silver. Each seatback will have some white color oxidation effects and some seatbacks will have much more than others. The brown seatbacks and the red signed in silver have very little oxidation. 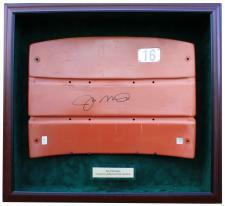 The oxidation provides that "game used" look to the seatbacks. You can call us or leave a comment in the shopping cart about how much oxidation you would like. 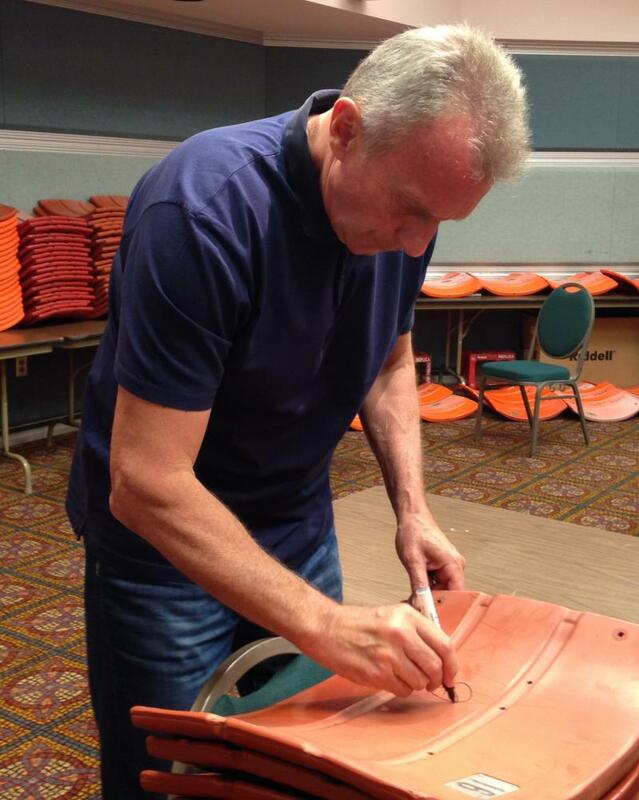 Joe Montana's personal hologram will come with each Joe Montana Autographed Candlestick Park Seatback along with the most trusted authenticity hologram in the industry, the National Sports Distributors (NSD) numbered "Autographed Witnessed By NSD" hologram and matching Certificate Of Authenticity. Joe Montana will not be signing seatbacks at any public event. With only so many #16 seatbacks available from the Candlestick Park Stadium, be sure to get at least one of these before they are all gone. 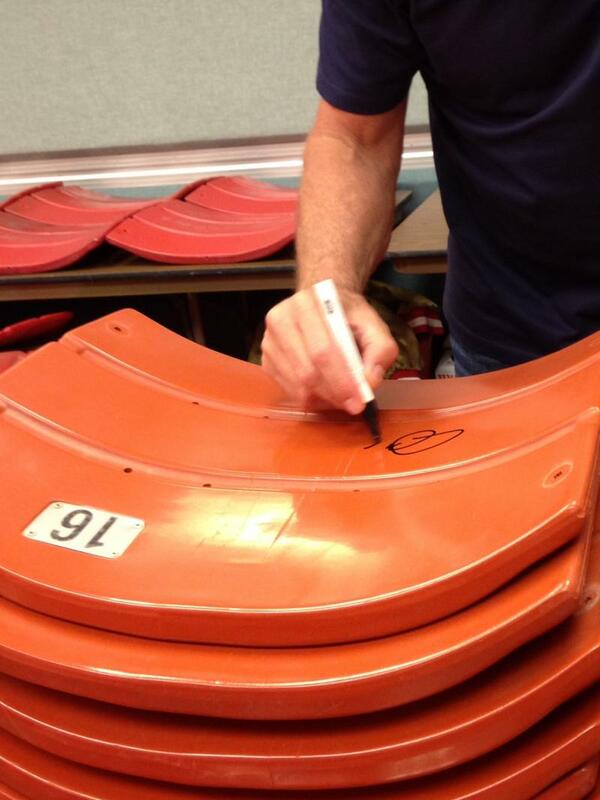 If you want to start collecting multiple signatures on a Candlestick Seatback, this is where you start. Get this Joe Montana Autographed Candlestick Park Seatback and then start getting other players to sign. 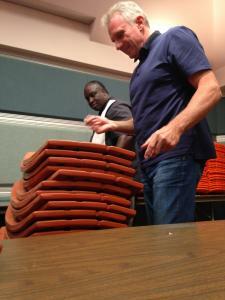 This is a great item! This version is signed in the center of the seatback. 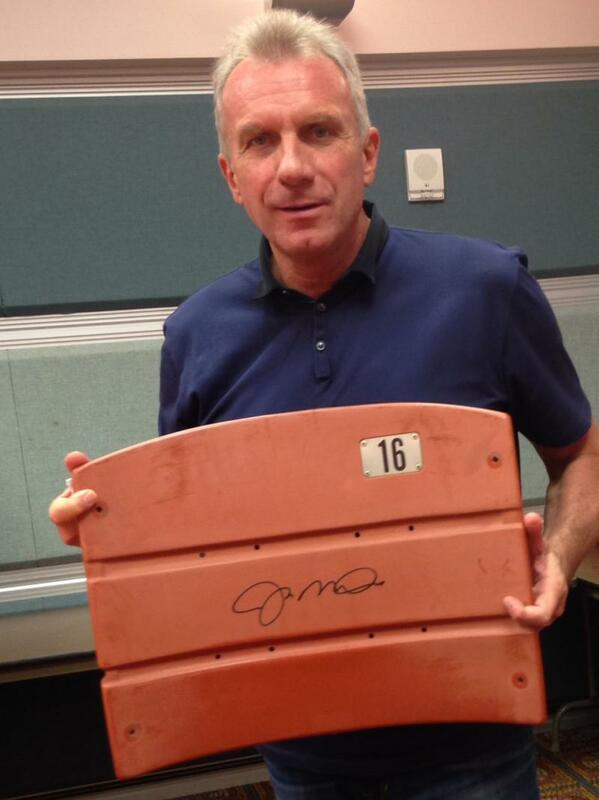 There is another version with just Joe Montana's signed at the top of the seatback to the left of the #16. Click here Montana Candlestick Seatback to see this version. Also pictured is this seatback in a very nice display case which is sold separately. 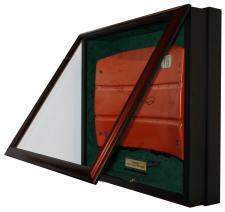 Visit this link Joe Montana Seatback Display Case for details. 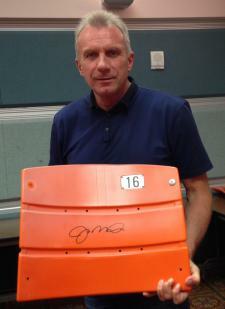 Click here to see all the Candlestick Park Seatbacks autographed by Joe Montana, Dwight Clark, Jerry Rice and Steve Young. $15.95 shipping per seatback to CA, WA, OR, NV and AZ. While not reflected in your shopping cart, $7.00 extra will be added to the shipping cost for all other contiguous states.